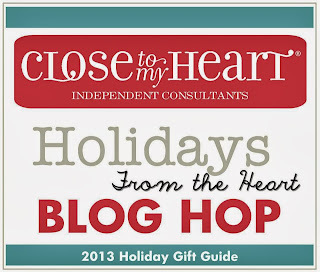 The Christmas Mini Catalog for Close to My Heart goes live today! The paper and new products included in the catalog are fun and festive. The Sparkle and Shine Washi Tape 3 pack is one of the products I was intrigued by! I couldn't wait to play with it. The Washi Tape is so easy to use! I just tore off a piece of the Silver and Juniper tapes and put them down and then perpendicular to that I added the Ruby and Silver tapes. I liked it and but it really didn't seem to highlight the beauty of the Silver Washi tape so I went back and alternated the Silver and the Ruby tapes. The Santa Claus stamp has lots of fun stamps including the Merry Christmas Stamp I used. The Artbooking Cricut Cartridge to cut the mat and the paper I stamped the sentiment on with Ruby Ink. I also used the Sparkles Clear Fourishes- Small to a a little bling and the Bitty Sparkles on the Merry Christmas sentiment. It literally just took a few minutes to make this fun card! Wouldn't you like to create with these fun products too!? If you spend $100 on anything from CTMH you will get a starred product from the mini catalog free! Check them out on my website! 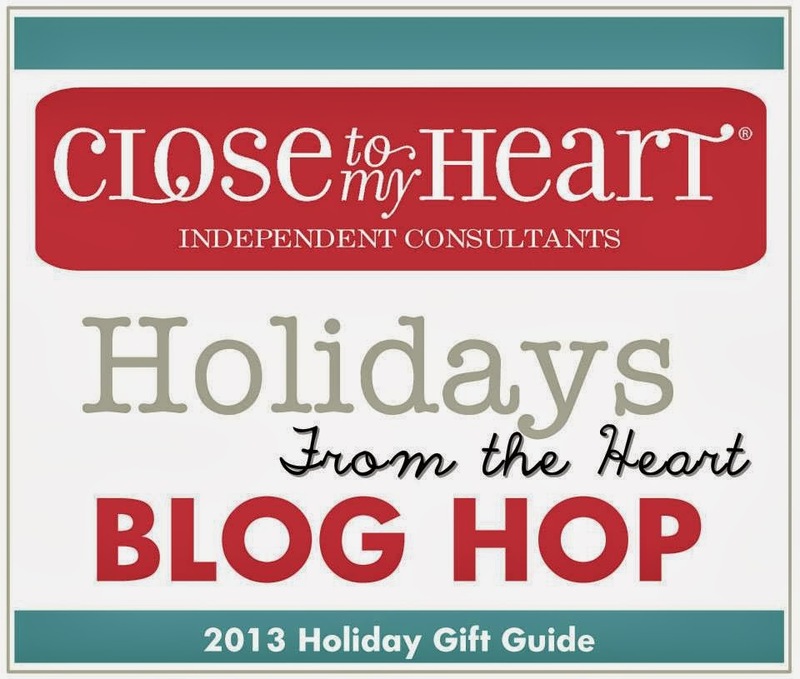 This blog hop is open for members of the CTMH Blog Boosters. Please do not enter if you are not a member of the group. 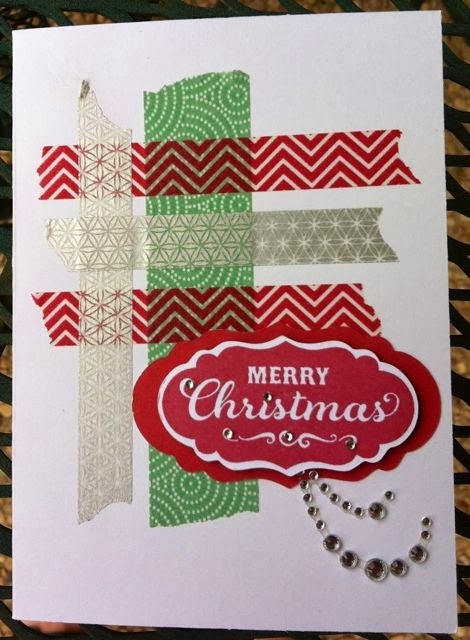 I love the washi Tape pattern....and I love that you added some bling to your card. Great piece. Super cute AND easy- yes please! Great card! I love how simple, but pretty this card is. Love the washi tape idea! Super cute card! 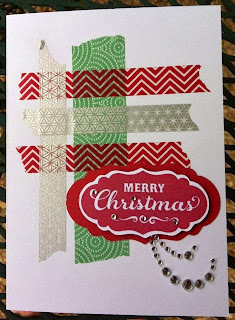 I love how easy and quick it is to make a card with washi tape! Nice, simple card. Like your use of the Washi Tape. Cute use of washi tape. Love how quick and easy this is. We all need more quick and easy in our lives :-). What fun! Washi tape is so much fun!! Super cute use of washi tape.